Jay Cutler was probably willing to stay retired and step into the broadcast booth, but his wife had other ideas. After being released by the Chicago Bears, and getting little interest from other teams, Jay Cutler wound up retiring and taking an analyst job with Fox. His booth analysis seemed sure to be harsh when necessary, as Cutler simply doesn’t seem to care what others think of him. But when Miami Dolphins quarterback Ryan Tannehill went down with a left leg injury last Thursday, Cutler was on almost any list of options to step in. A season working with Dolphins’ head coach Adam Gase, when he was offensive coordinator for the Bears, made Cutler a perceived seamless fit in Miami. After some rumored doubt Cutler wanted to come back and play, he signed a one-year, $10 million deal with the Dolphins on Sunday. He spoke to the media on Monday, and credited wife Kristin Cavallari as the driving force for his return. Jay Cutler said his wife talked him into this more than anything. Cutler says his wife (you might have heard of her) pushed him more than anyone to unretire. Jokes she got sick of him. Cutler’s sullen on-field demeanor has always been overblown, but he also never really projected an image of a guy who loved playing football. That’s the burden of having talent and being an underachiever, in some way, and Cutler seems to carry it very unwillingly. Cavallari surely sees a side of Cutler no one else does, so her push for him to play again comes with merit. Perhaps he grinded over a decision to retire, even with limited interest in him on the open market, and the Dolphins had a rare, unique situation to consider when the opportunity surfaced. Cutler should have seen that on his own, or maybe Cavallari just wants to make a fall and winter home in Miami. 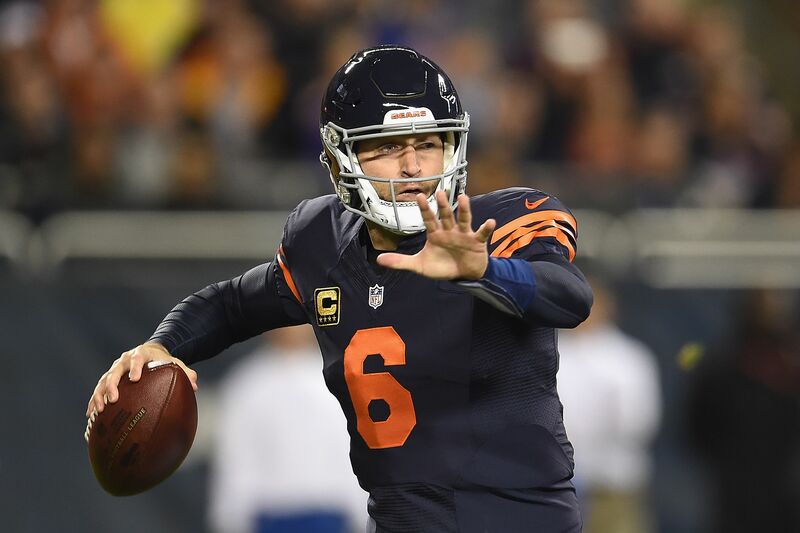 Cutler dismissed any concern about his overall physical condition, suggesting he is a quarterback and his cardiovascular shape is not too important. But he did say his surgically repaired shoulder was cleared in March, and he has no concern about his arm.